If your SSL has expired or recently been rekeyed, you will need to replace it by generating a new certificate in the SSL manager and replacing the certificate that is installed on your cPanel hosting. Watch a short video of this task farther down page. Before or after uploading your new SSL certificate, you can delete the old SSL certificate to avoid confusion. Log in to your GoDaddy account and open your product. Need help opening your product? 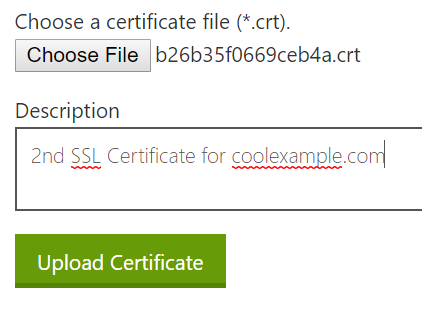 Under Certificates (CRT), click Generate, view, upload, or delete SSL certificates. 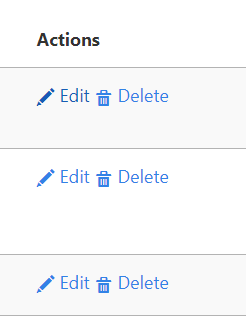 Under Actions, click Delete for the certificate you wish to delete. Click Go Back and repeat steps 4 and 5 to delete any other certificate. You can rekey your SSL certificate from the SSL manager, which will allow you to download your new SSL certificate. Click Choose File to upload a new certificate. Navigate to the location where you've saved the new SSL certificate and click Open. Fill the description box and click Upload. 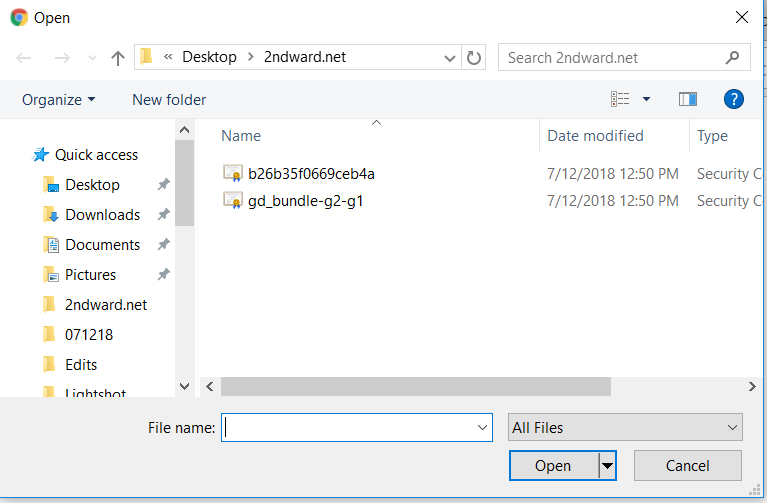 Click Go Back and repeat steps 4 through 6 for any other certificate files you need to upload. From the SSL/TLS Manager, click Manage SSL Sites. Click Browse Certificates and select the certificate that you want to activate. This will auto-fill the fields for the certificate. 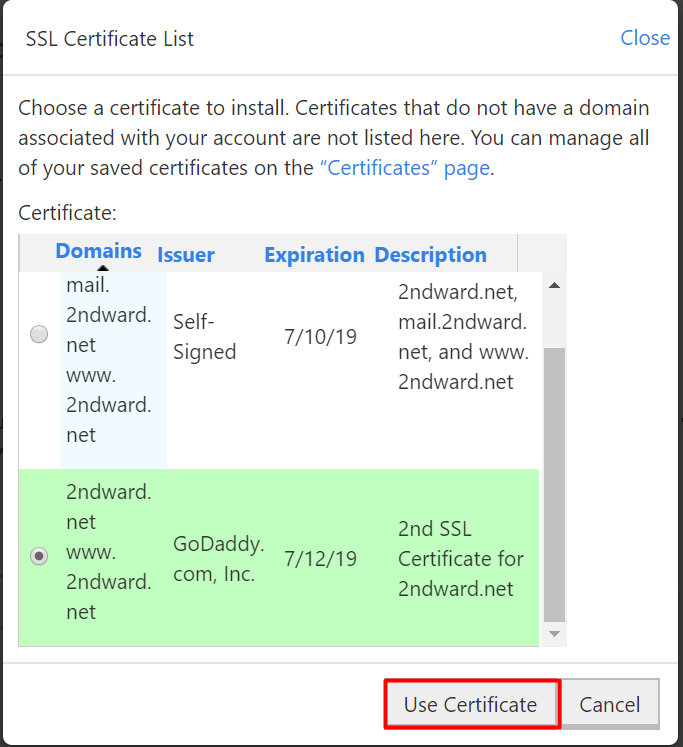 Select the new certificate that you uploaded from the SSL Certificate List. Click Use Certificate. That's it! To make sure your SSL is working, you can check it using our Certificate Checker.